Unfortunately, the latest versions of Minecraft PE show the trend of small updates. Each new update contains fewer and fewer features since the developers have released the aquatic update. 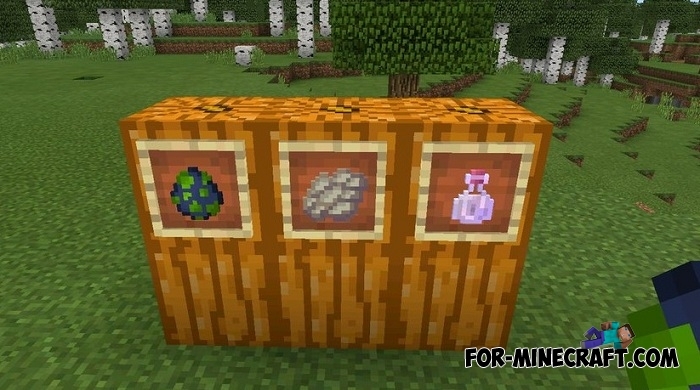 As you can see, MCBE 1.6.0.5 brings only two new items and fixes a lot of bugs, so Minecraft Bedrock Edition 1.6.0.5 can be called corrective. Strangely enough, this thing can be picked up after the death of the phantom mob. To do this, you have a little sleep and hunt. The membrane using is associated with cooking a special potion or for repairing elytra wings which is important enough for those who fly often. The name of this potion speaks for itself and is shown below. Having drunk such a potion, you can smoothly land on the ground without having received fatal damage. This effect is achieved with the help of elytra, but thanks to the potion you can fall from any height from any place. 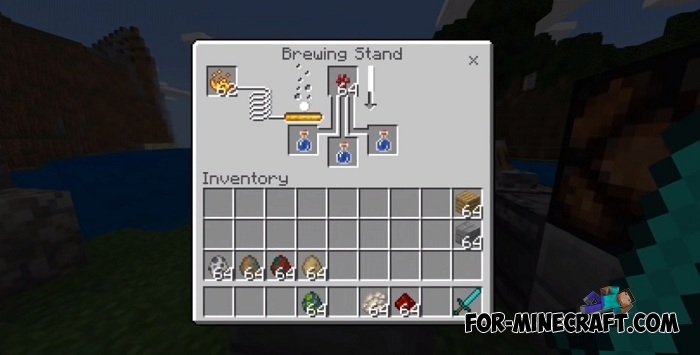 First, you will need the following ingredients (Awkward Potion, Nether Wart and Phantom Membrane) and a brewing stand. Using all the components in turn, you get the new potion.